The T4-Tsakona arch bridge will be the second largest in Greece, after the Rio-Antirrio bridge, and is considered as one the longest multi-span arch bridges worldwide. The bridge reaches 400 meters in length and connects an area where a large landslide took place in 2003. It is a structure of extraordinary complexity, both in terms of foundation, as well as superstructure. Set Point Technologies is installing a 100-channel distributed structural health monitoring system, consisting of acceleration sensors, strain gages, temperature sensors, load cells, tilt sensors and wind velocity and wind direction sensors. Set Point Technologies, representative of Bartec Syscom in Greece, was awarded in 2015 the project for the installation of the Strong Motion Recorders networks of Mornos and Evinos dams in Central/Western Greece, as part of the emergency action plan of the project. The lakes of Evinos and Mornos are the main water supply resources of the Athens Water Supply and Sewerage Company (EYDAP SA), which serves approximately 4,300,000 customers. Free field, downstream of the dam, to characterize the earthquakes and to measure the ground motion. In-structure, to measure the dam response at the locations with maximal modal deflections. Abutment, to measure the soil-structure interaction. Foundation, in a service gallery, to measure wave propagation in the dam foundation. The instrument at the dam foundation is present only in the Evinos dam. 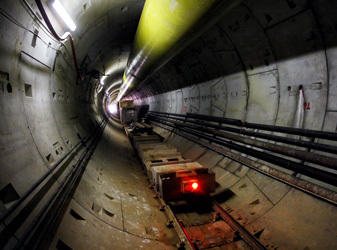 The first phase of the Thessaloniki Metro project consists of 9.6 km of underground line with twin tunnels, 13 stations along its length, and a depot at the southeast end of the line. 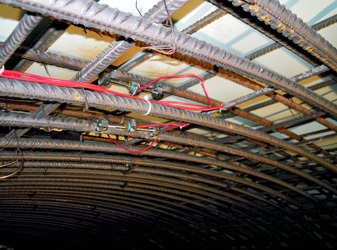 Set Point Technologies has supplied several hundreds of NATM stress cells and vibrating wire strain gages to monitor the structural health of the tunnel lining. Ionian Motorway is a major motorway under construction, which runs through the western part of Greece. Its total length will be 200 km. Set Point Technologies has installed 270+ sensors (NATM stress cells, vibrating wire strain gages and vibrating wire piezometers) to monitor the structural health of the twin tunnels Kalidona (1.200 m) and Makinia (540 m). 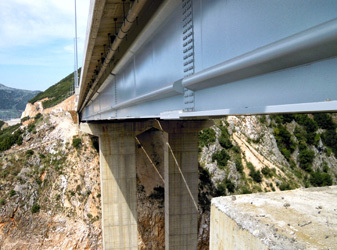 The G4 bridge is a twin road bridge at section 1.1.2 of the Egnatia Motorway, with a total length of 188 m. The bridge comprises two piers with maximum pier height 75 m.
Mesovouni Bridge consists of two independent bridges with a total length of 258 m.
Set Point Technologies has installed on each bridge a seismic monitoring network consisting of six broad range force balance accelerometers, a high resolution strong motion accelerograph and GPRS communication, to monitor the bridge’s structural response to earthquakes and dynamic loads. Landslide bridge is a steel arch railway bridge over a landslide for the connection of New Ikonio port to the rail network. With a total length of 272m is the longest one span (110 m) railway arch bridge in Greece. Set Point Technologies has installed a network of In-Place Inclinometers and vibrating wire tilt sensors, to monitor the stability of the slope and of the structure. 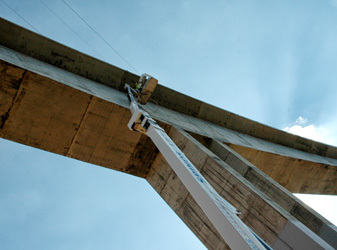 In addition, Set Point Technologies carried out measurements by following the Ambient Vibration Method to determine the dynamic behavior of the bridge (eigenfrequencies, mode shapes and damping values) and to compare it with the theoretical finite element model. 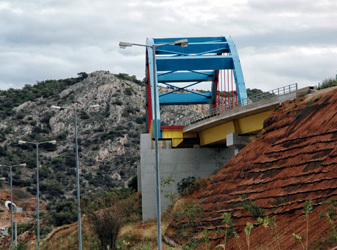 G5 is a concrete railway bridge over the Athens-Korinthos national road for the connection of New Ikonio port to the rail network. 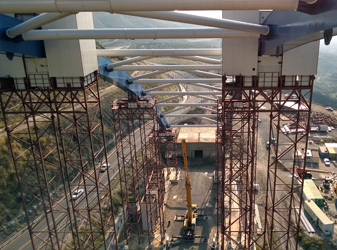 The bridge comprises two abutments and three piers with maximum pier height 28 m.
Set Point Technologies has installed a structural health monitoring system, consisting of vibrating wire displacement sensors, vibrating wire strain gages, vibrating wire tilt sensors, meteorological sensors and strong motion accelerographs. 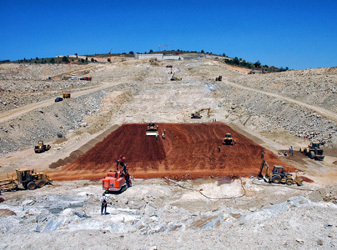 The Platanovrisi dam in Nestos river is the first Roller Compacted Concrete (RCC) dam in Greece and it is the highest RCC dam in Europe (75 m). 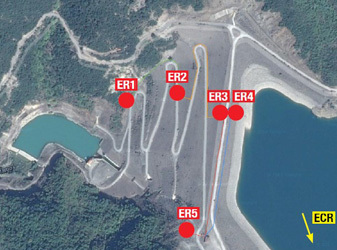 Set Point Technologies has installed a distributed seismic monitoring network consisting of three triaxial MEMS force balance accelerometers and strong motion accelerographs, to monitor the dam’s structural response to earthquakes. Mavromati dam is a 48 m high earth-fill dam for the water supply of Sourpi Municipality in Central Greece. Set Point Technologies has supplied and installed the dam’s monitoring instrumentation required in the project to monitor stress, displacement, temperature, foundation pressure, seismic acceleration and more. 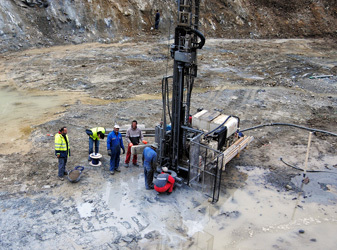 Instruments included vibrating wire piezometers, vibrating wire earth pressure cells, multi-point extensometers, inclinometer system, central dataloggers and strong motion accelerographs. 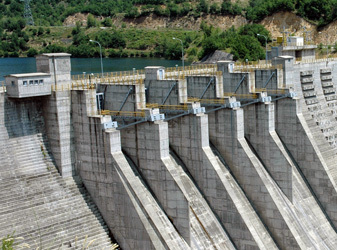 Triantafillia dam is a 75 m high earth dam in the prefecture of Florina. 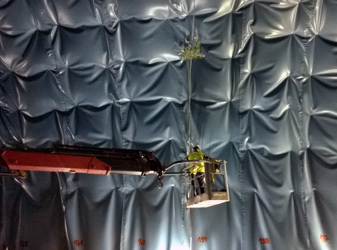 Set Point Technologies has supplied and installed the dam’s monitoring instrumentation required in the project to monitor foundation pressure and seismic acceleration. Instruments included vibrating wire piezometers, central dataloggers and strong motion accelerographs. Agios Stefanos tunnel is 170 m single-track line railway tunnel in Attica. Set Point Technologies has installed 150 sensors (NATM stress cells and vibrating wire strain gages) to monitor the structural health of the tunnel lining. 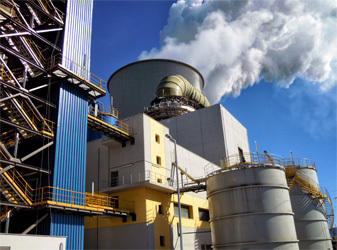 Set point Technologies has installed a strong motion accelerograph for the seismic monitoring of the PPC Flue Gas Desulfurization Plant in Megalopolis. 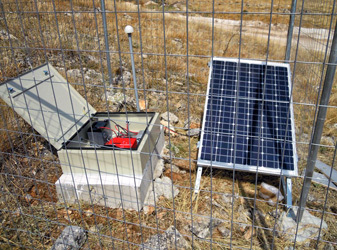 Set Point Technologies has installed a network of six accelerographs to monitor the vibration induced by quarrying activities in the municipality of Kilada, prefecture of Larisa. 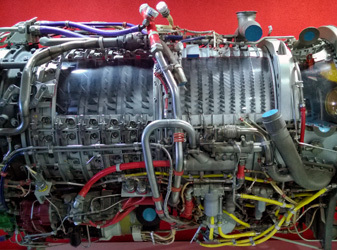 Set Point Technologies is providing extremely high temperature accelerometers for gas turbine testing and vibration monitoring. Our customer portfolio includes the Public Power Corporation, the Hellenic Aerospace Industry and others. 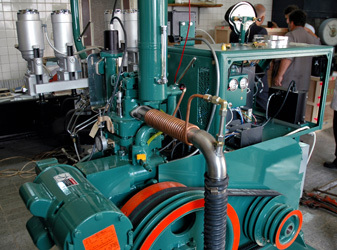 Set Point Technologies has contributed to the modernization of Jordan Petroleum Refinery Company’s (JOPETROL) Laboratory, by providing several analytical instruments, including Automated Vapor Pressure Analyzers, Multi Range Viscometers, Automated Freezing Point Analyzer, Automatic Distillation Apparatuses, HFRR and two Waukesha CFR F-2U Octane Rating Units. 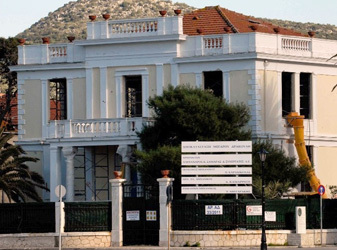 Set Point Technologies carried out a Maintenance Repair Analysis, a Durability Analysis and a Cathodic Protection Design for the Megaro Drakouli, a large impressive, neo-classical building located at Vathi, the capital of the Ithaca island.